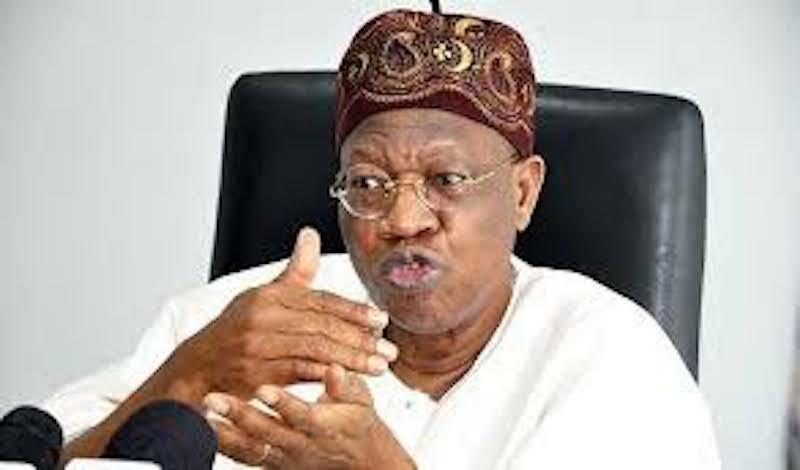 Justice Mohammed Aikawa of a Federal High Court sitting in Lagos has been asked to dismiss a motion filed by a former Minister of State for Finance, Mrs. Esther Nenadi Usman, seeking to commit the Information Minister, Alhaji Lai Mohammed, to prison for alleged contempt. The Economic and Financial Crimes Commission (EFCC) made this submission yesterday, at the resumed trial of Mrs. Usman alongside a former Minister of Aviation, Chief Femi Fani-Kayode, one, Danjuma Yusuf and a company, John Trust Dimensions Nigeria Limited, on a 17-count charge of alleged N4.6 billion fraud. The EFCC, in the charge marked FHC/L/C/251c/2016, accused the defendants of conspiracy, unlawful retention of proceeds of theft and money laundering. Mrs. Usman had in a motion on notice filed through her lawyer, Chief Ferdinand Orbih (SAN) argued that the inclusion of her name on the looters’ list released by the information minister during the pendency of an alleged fraud case against her is contemptuous. The former minister added that Lai Mohammed’s action is an attempt to prejudice the mind of the public against her in the case pending before the court. Responding to Usman’s lawyer arguments on the motion, counsel to EFCC, Mr. Rotimi Oyedepo, urged the court to decline the Nenadi’s request for the information minister to be summoned to explain why he should not be committed to prison over his action. Oyedepo insisted that the applicant (Nenadi) was never referred to as a looter by the information minister saying what was published by some newspapers only bordered on allegations and cannot be said to be prejudicial to the applicant’s case in court. He further argued that there was no advertorial from the Ministry of Information to substantiate the claims against the information minister. “The minister of information is not a party to the criminal proceedings against the applicant. There is no evidence to show that the alleged contemnor works with the various media houses that published the alleged offensive publication. Besides, there were no allegations against the media houses that published the alleged offensive publication. “There was nothing that connects the ministry of information to the motion which was taken out to annoy the prosecution. The motion is lacking in substance, it is an abuse of court’s process and should be dismissed”, Oyedepo submitted. Earlier, Nenadi’s lawyer, Chief Orbih (SAN) while urging the court to grant the motion alleged that the information minister had by his action pre-judged his client’s case before the court. “The information minister’s action undermines the integrity of the court and is aimed at poisoning the mind of the public against the applicant. “Assuming at the end of proceedings, the defendants were cleared of the alleged offence, the integrity of the court will be put to rest owing to the information minister’s action. “In the absence of any denial by the alleged contemnor, there was no need for the applicant to attach any advertorial from the ministry of information. What is required at this stage is minimal proof in the absence of any specific denial by the alleged contemnor”, the silk said.